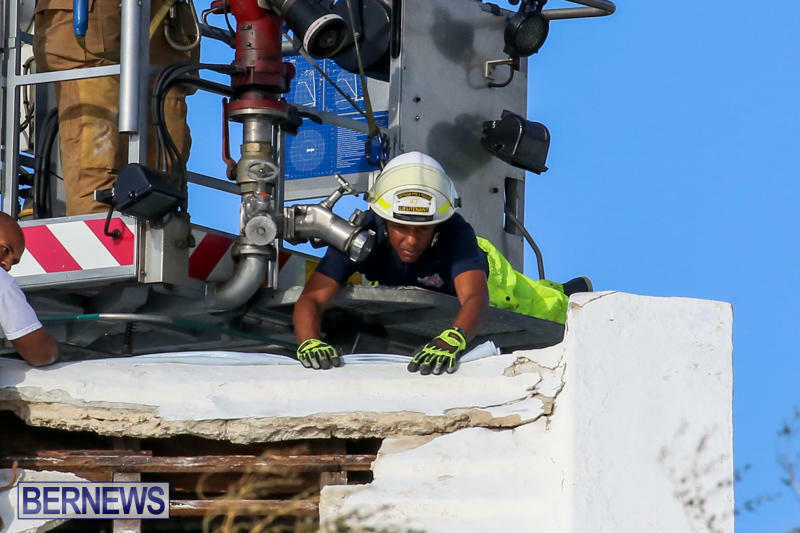 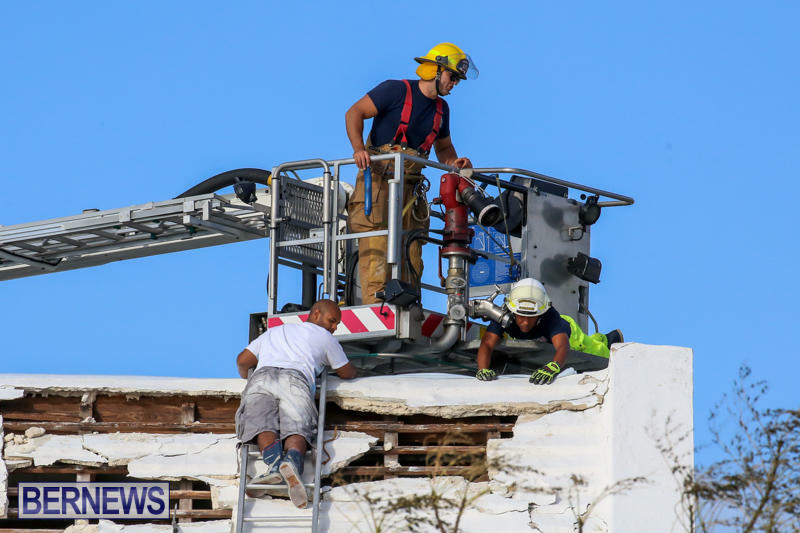 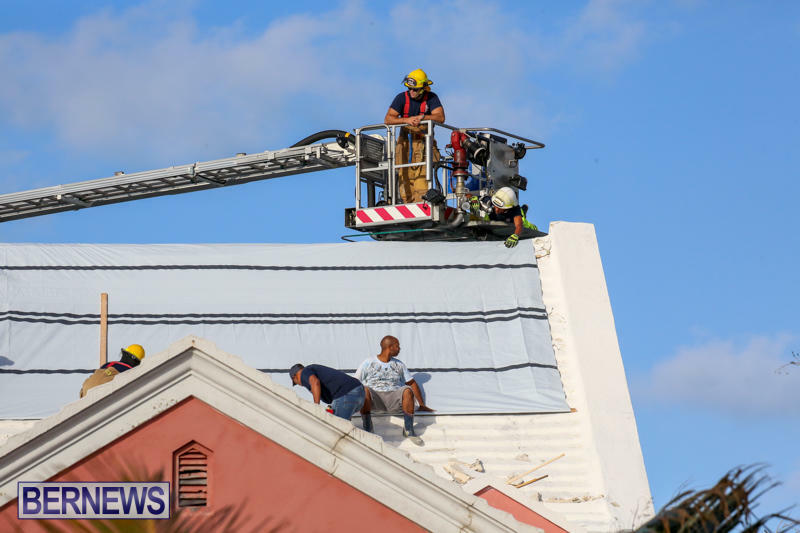 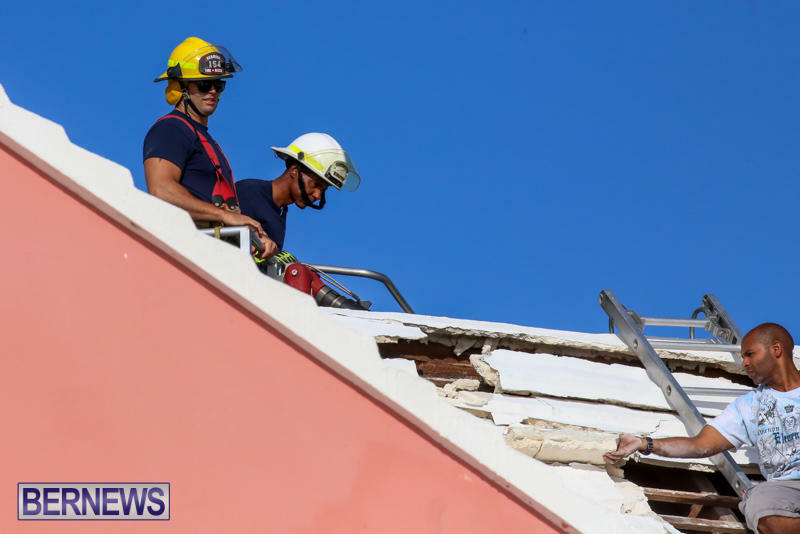 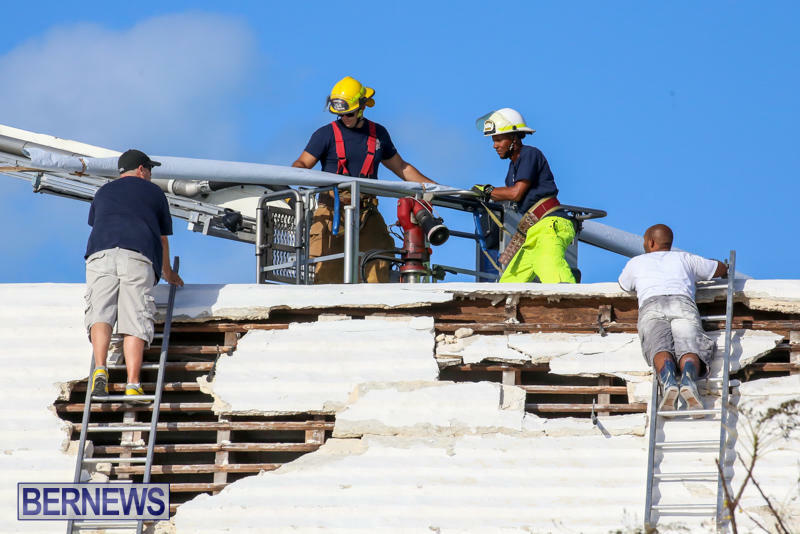 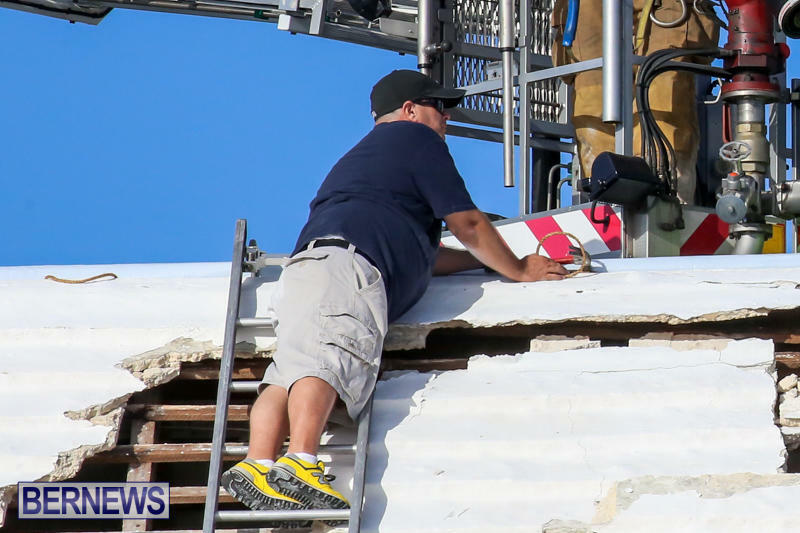 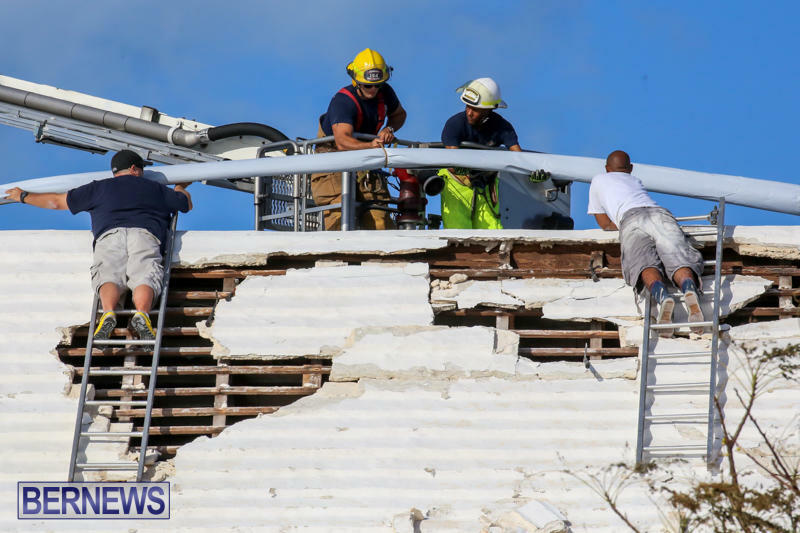 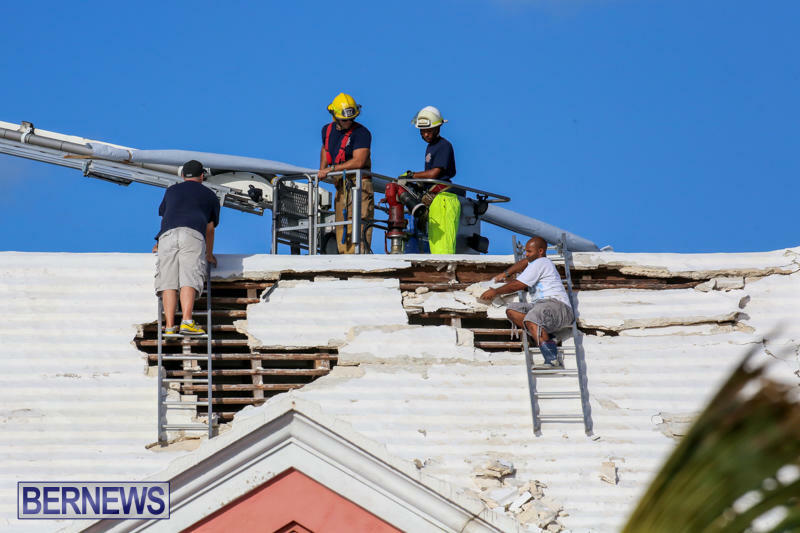 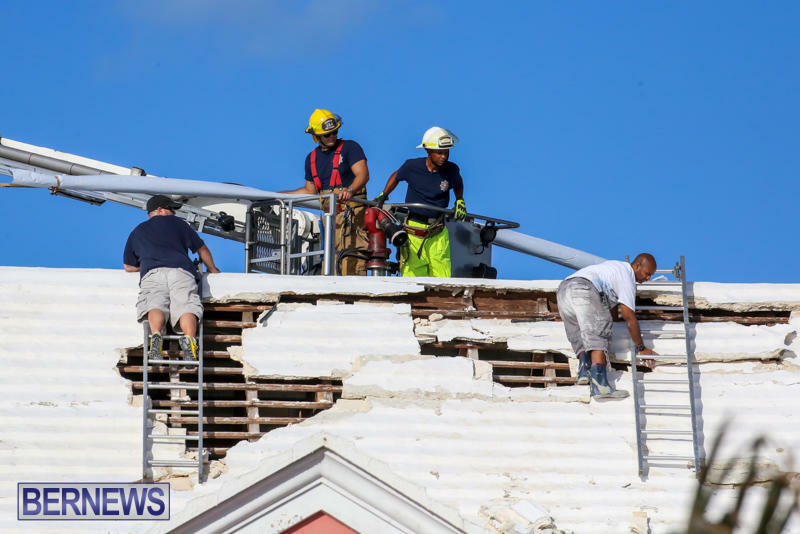 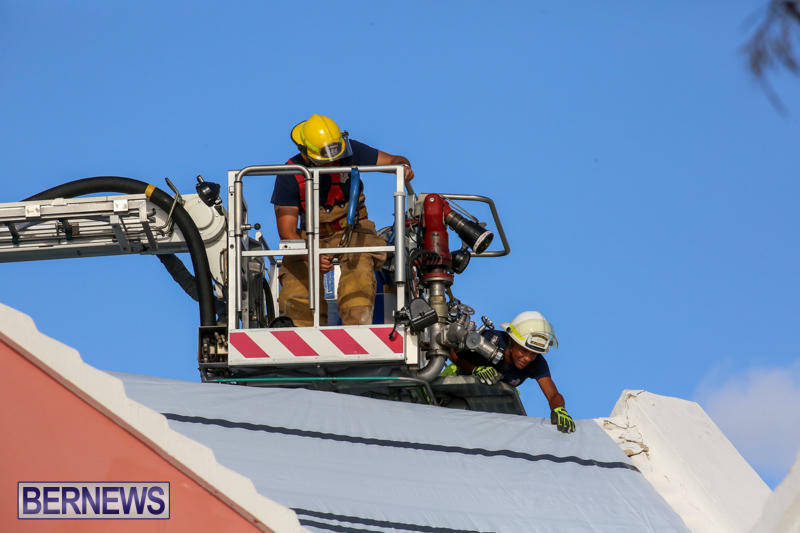 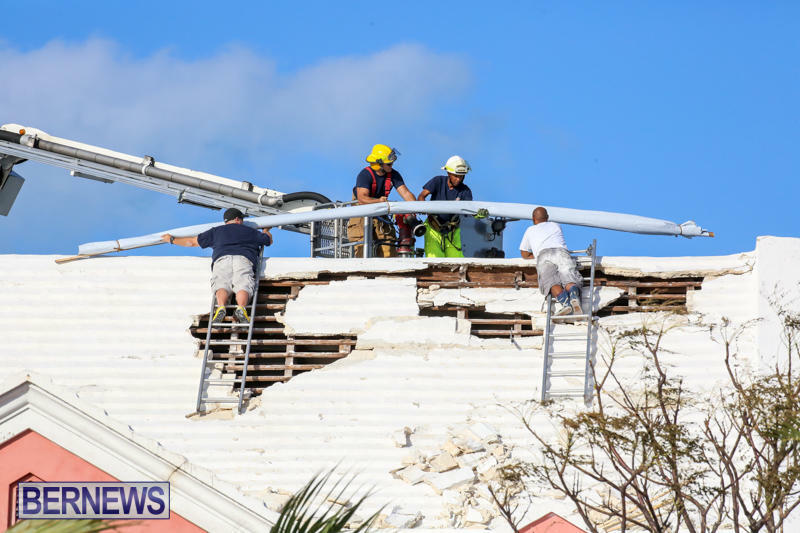 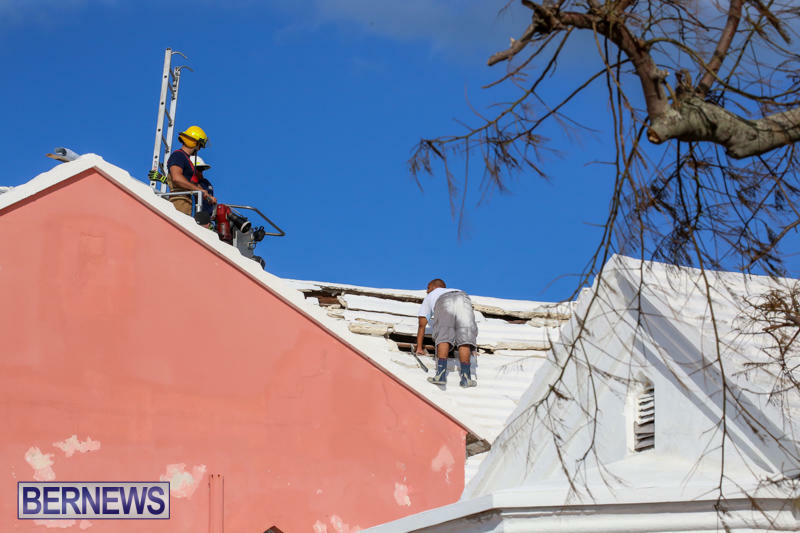 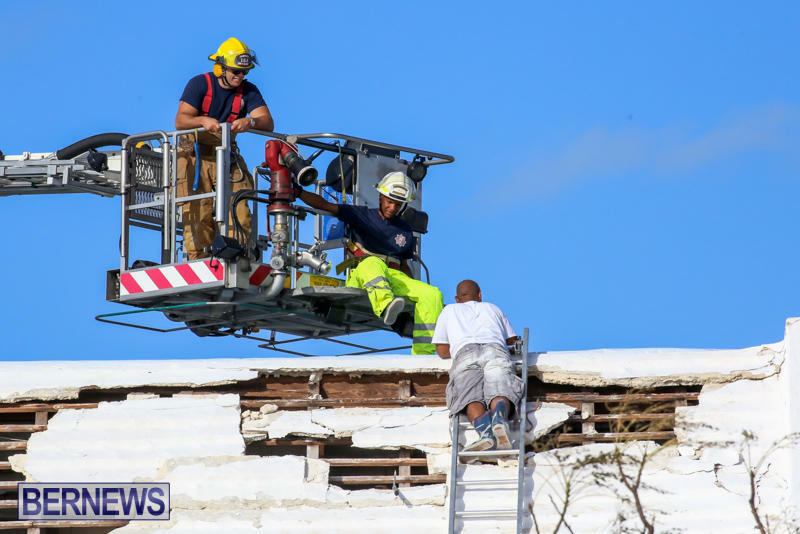 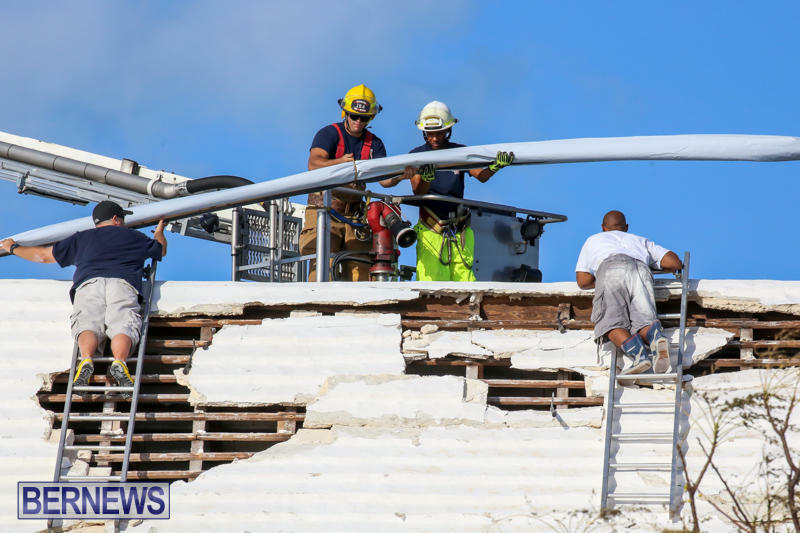 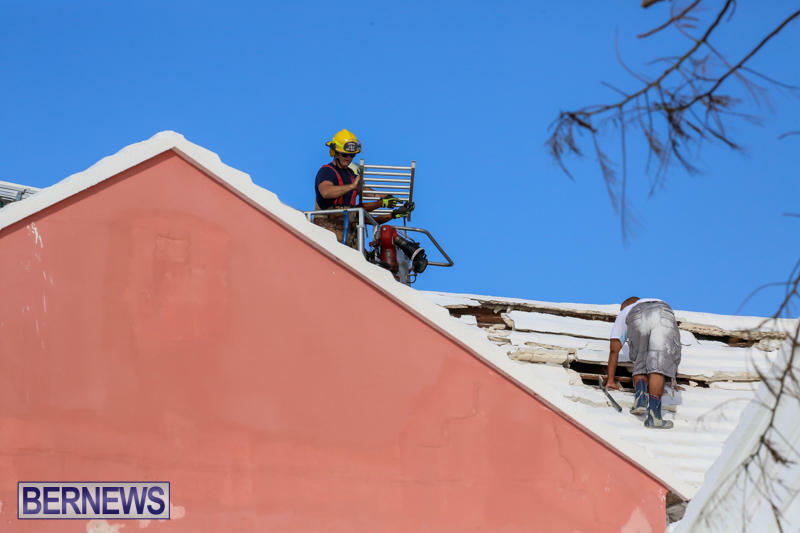 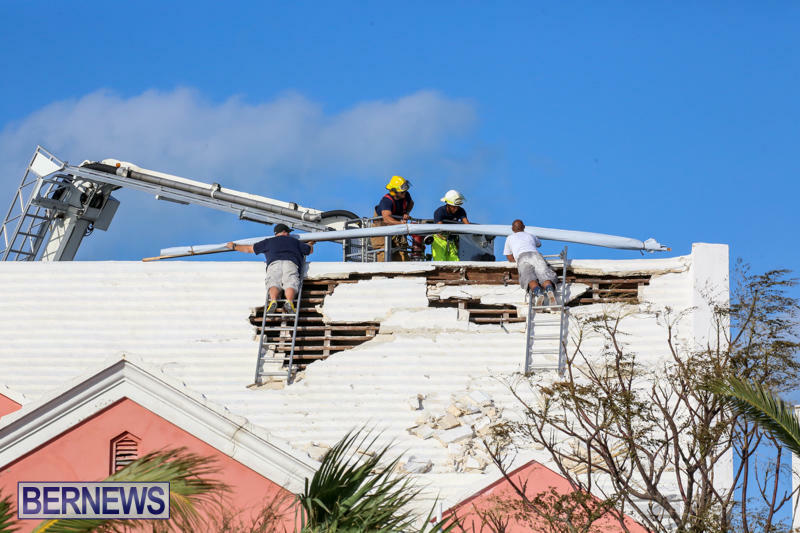 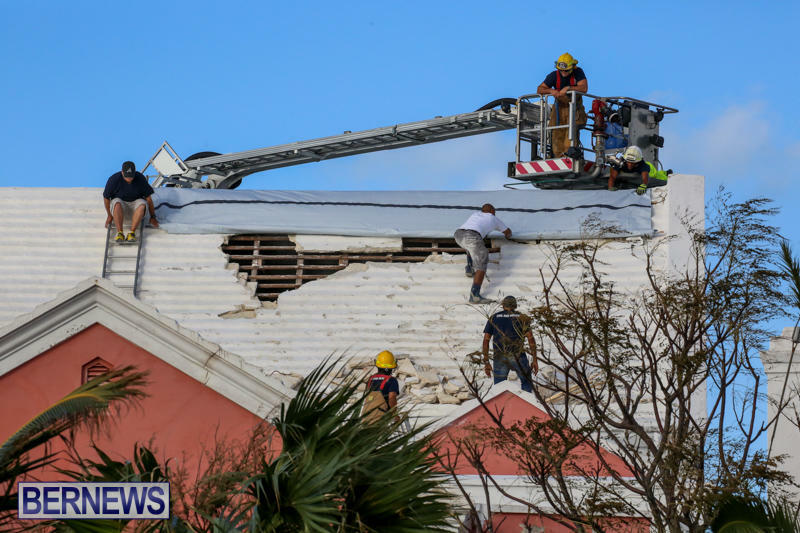 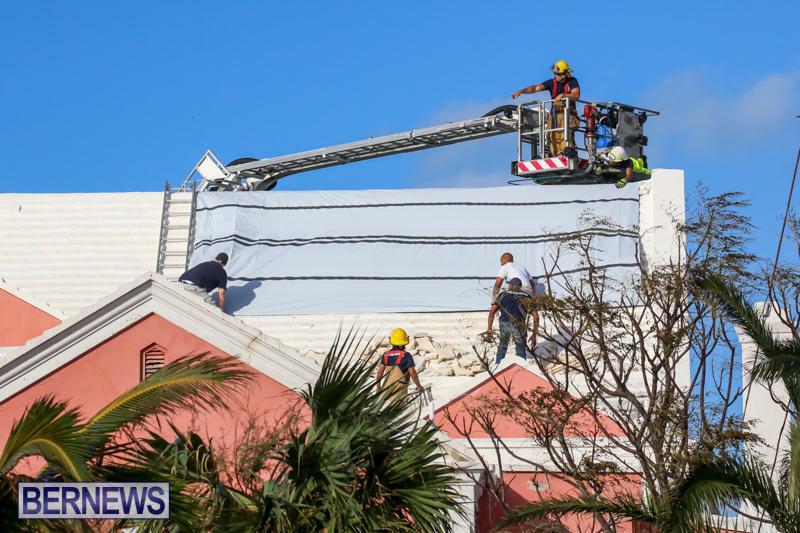 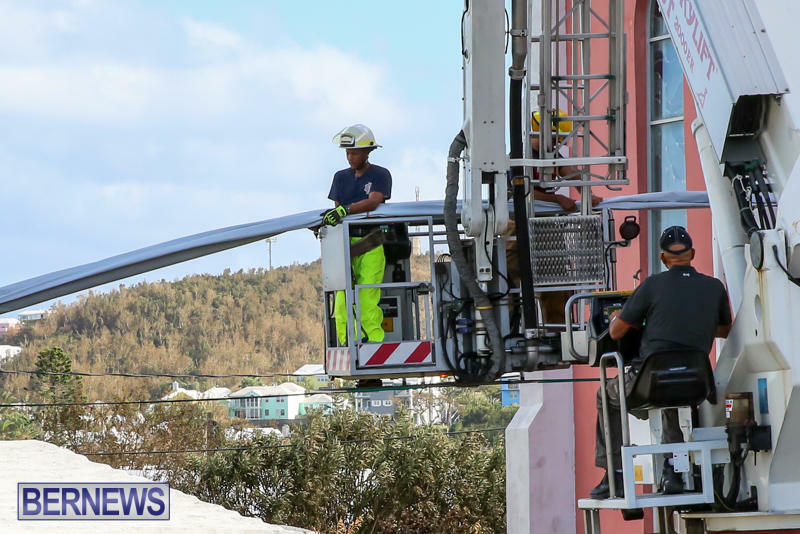 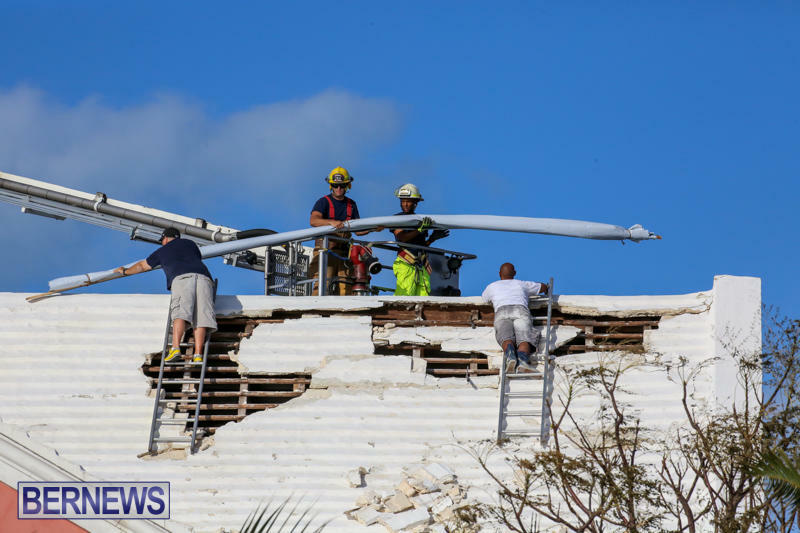 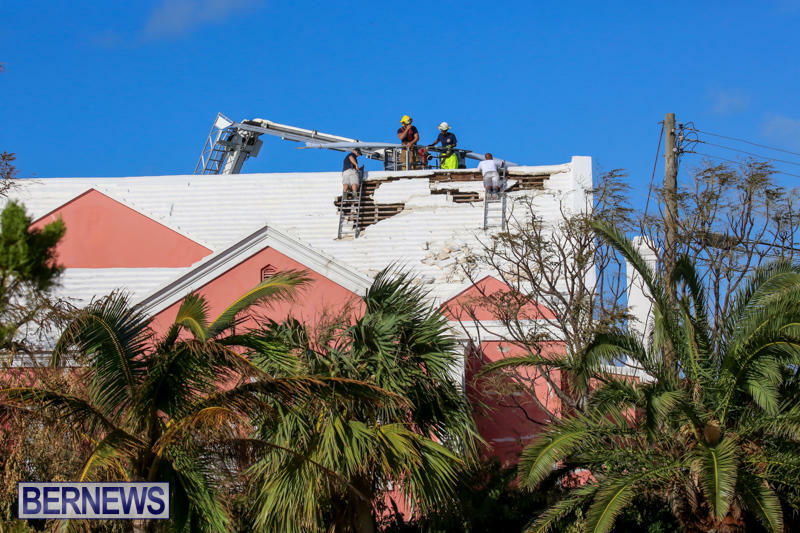 During and after Hurricane Nicole – one of the strongest storms on record to pass over Bermuda in modern times — the Bermuda Fire & Rescue Service responded to 128 hurricane related incidents including flooding, roof damage coverings, utility pole fires, medical assistance and sinking boats. 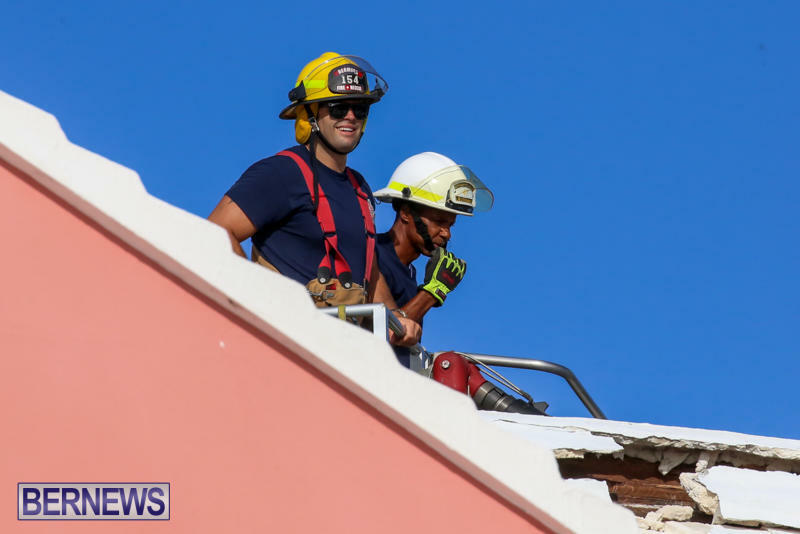 Bermuda Fire & Rescue Service spokesperson Staff Officer Delton White said “In the aftermath of Hurricane Nicole, the Bermuda Fire & Rescue Service along with other island wide agencies have been busily and diligently helping the public with any assistance they need in relation to damage or problems caused by the hurricane. 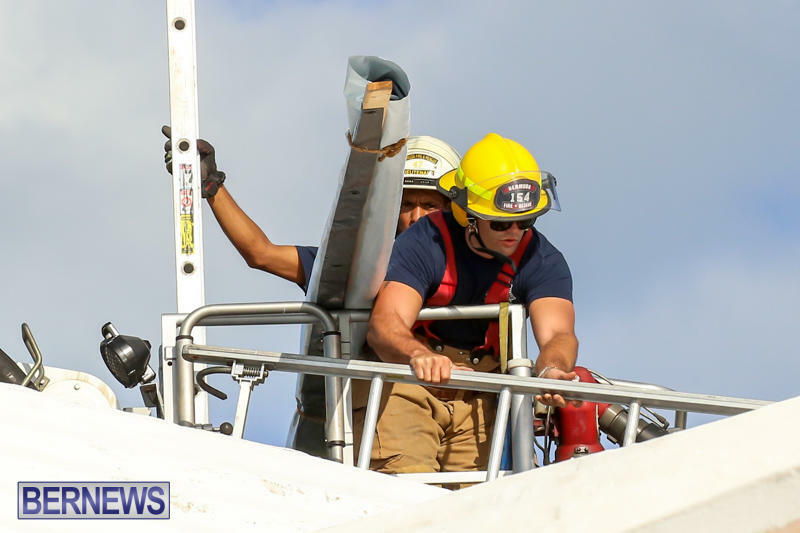 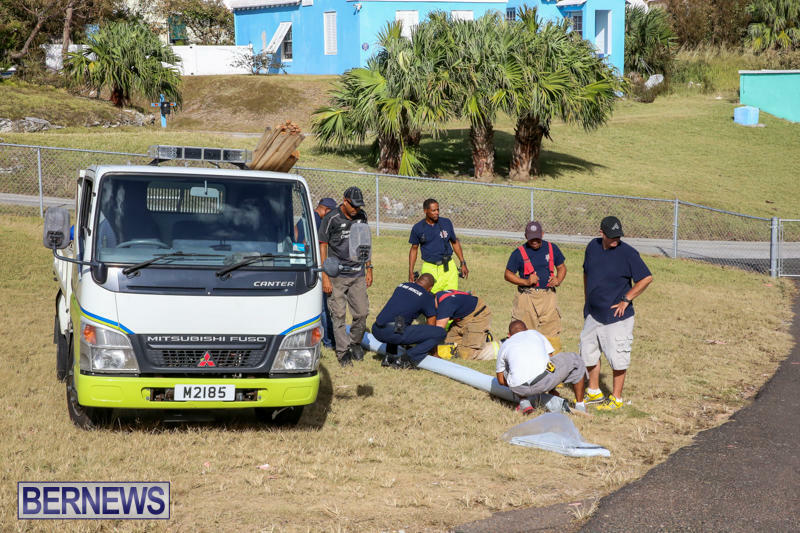 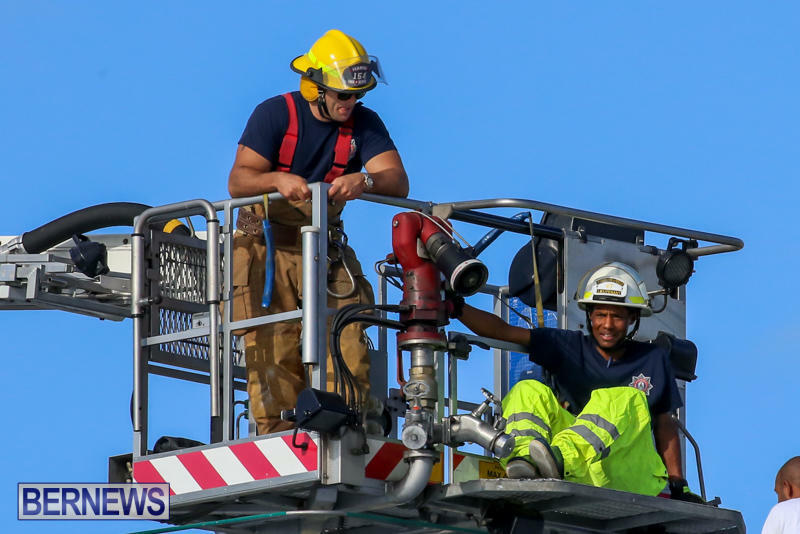 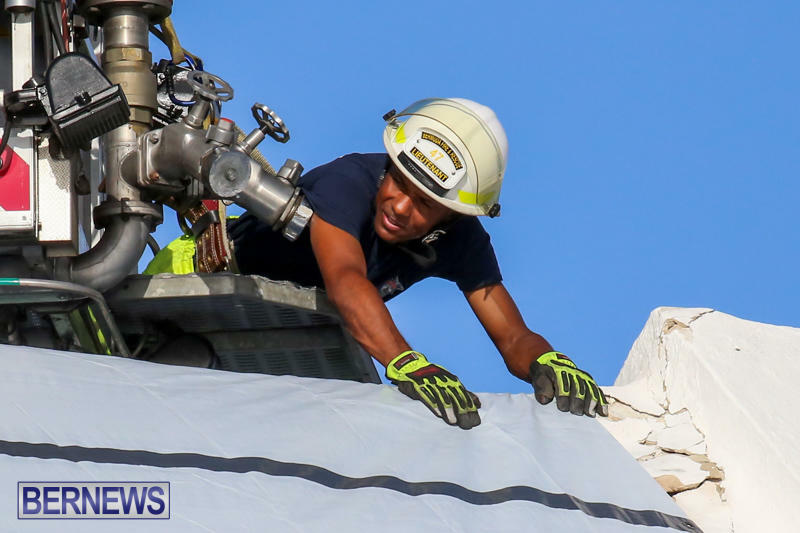 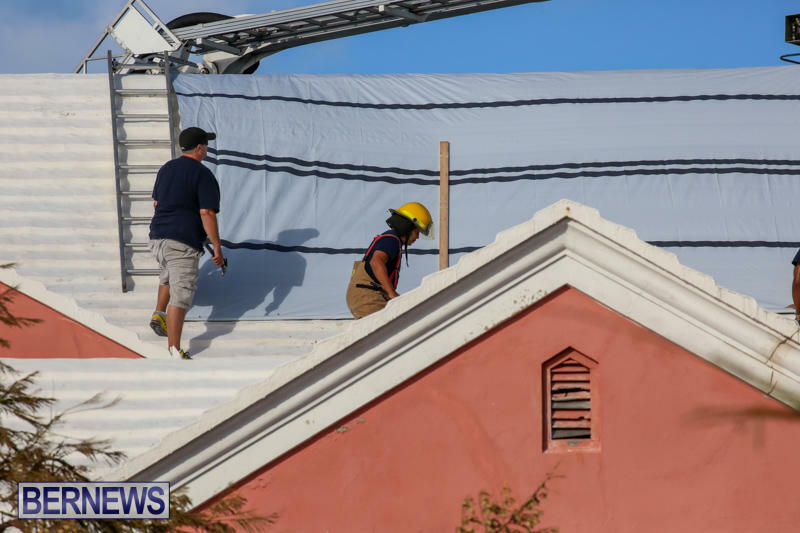 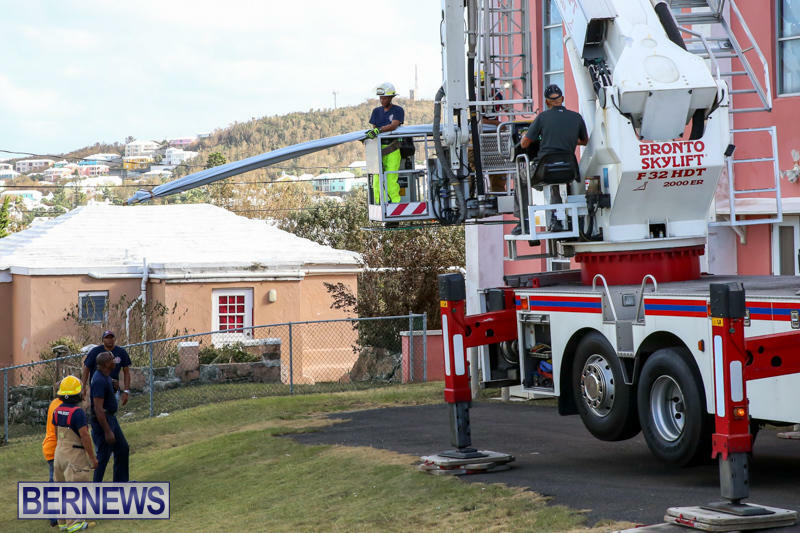 “To date, the Fire Service has responded to 128 hurricane related incidents compiled of flooding, roof damage coverings, utility pole fires, medical assistance and sinking boats. 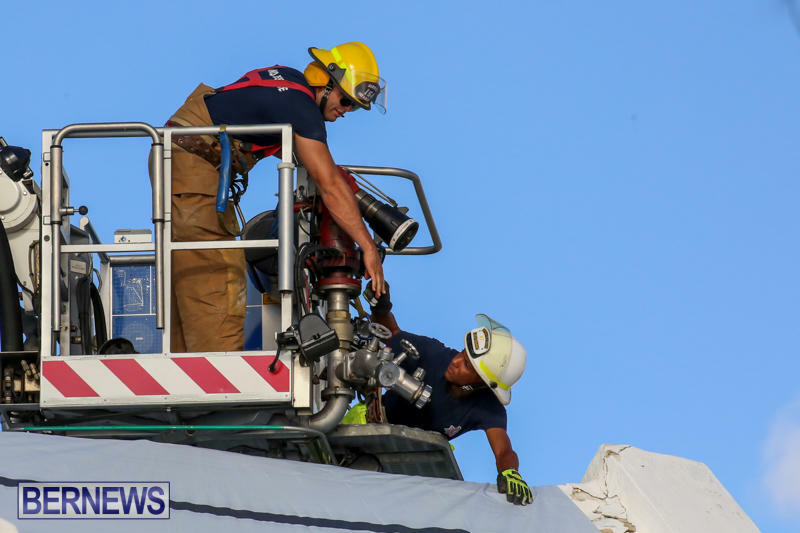 “Our vehicles were mobilized upon receiving the all clear to respond to incidents from the EMO and have been steadily moving ever since. 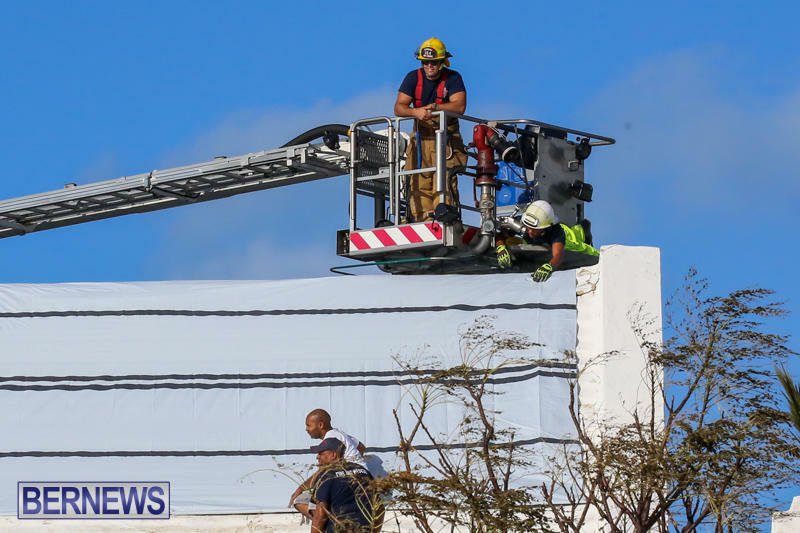 We have island wide 24 hour coverage via one of our 3 stations and are always ready to assist the public in any way that we can. 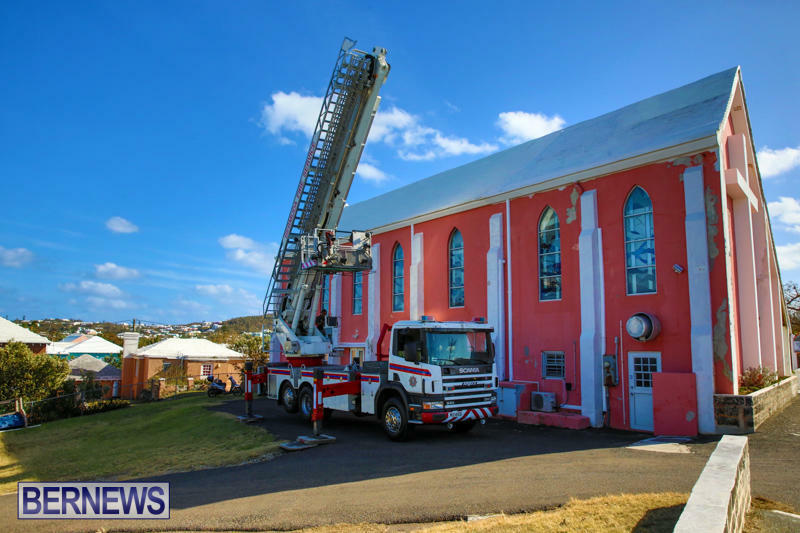 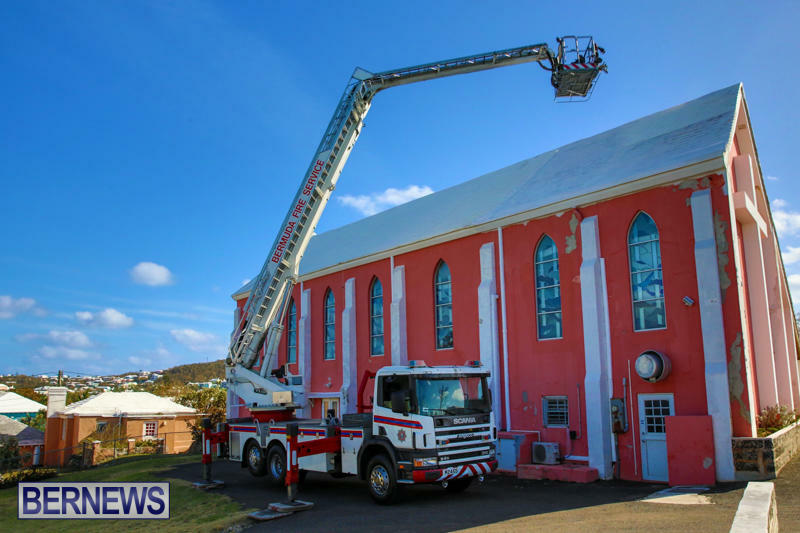 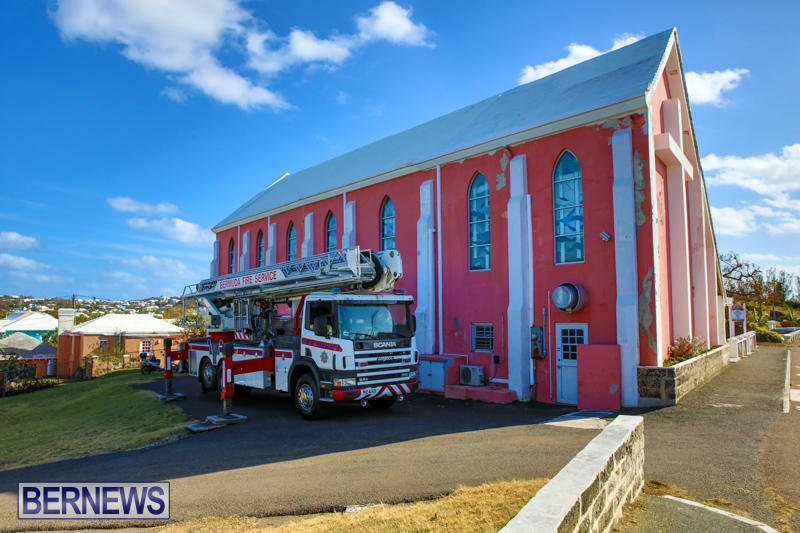 Very nice of the fire brigade to assist with the patch of the church—I sure hope that help was after they helped elderly and less fortunate taxpayers. 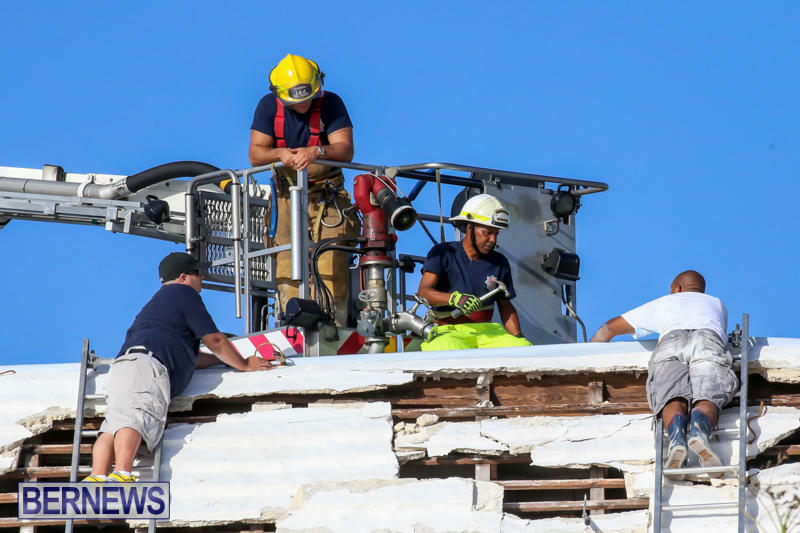 Bermuda once again rose to the challenge and community spirt was on proud display. 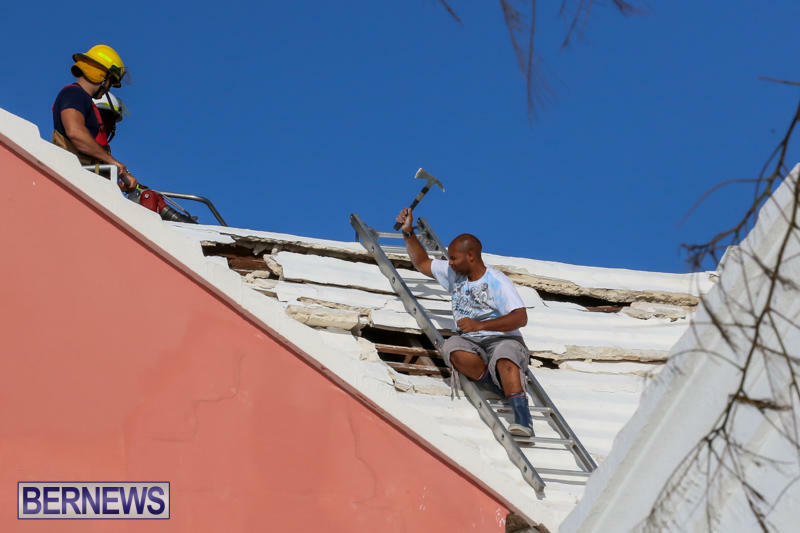 Well done, we totally have it within ourselves!!! 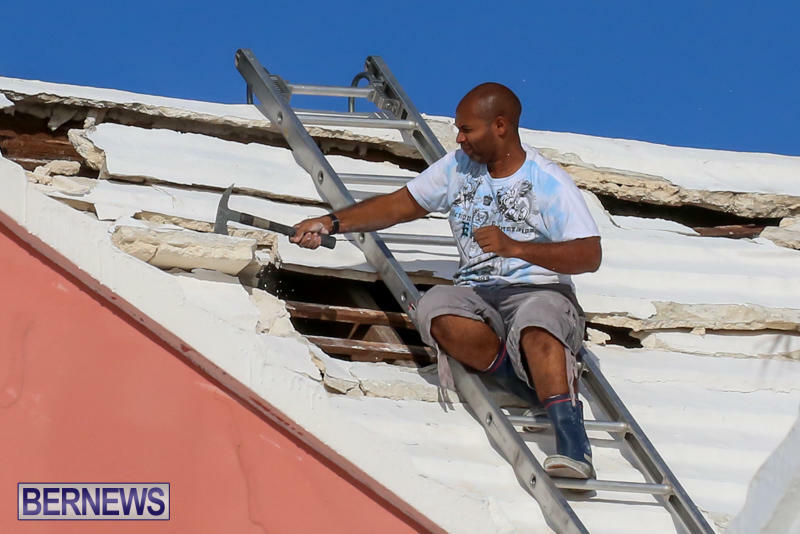 What a miracle the Bronto was resurected to fix gods house damaged by the storm god sent.